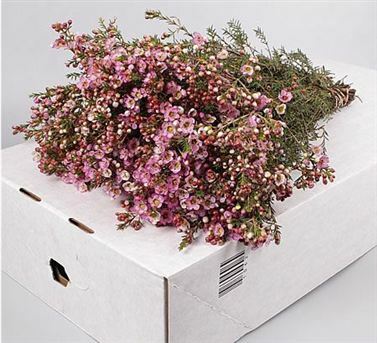 Adi is a pink variety of Waxflower (also known as Chamelaucium). A superb seasonal filler flower 70cm tall & wholesaled in 25 stem wraps. Waxflower, (real name: Chamelaucium), is a genus of the Myrtaceae family and is native to Western Australia. The flowers of chamelaucium closely resemble the tea-tree plant – Leptospermum.